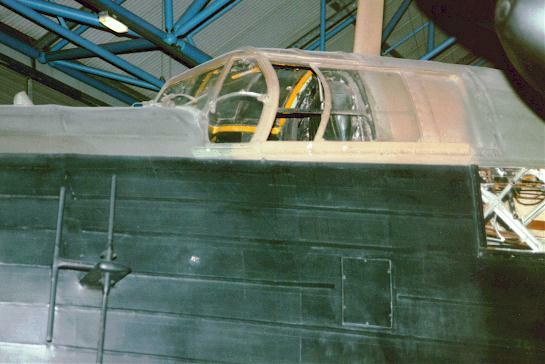 The Wellington was the most important British bomber of the initial war period. Designed to meet the requirements of Air Ministry specification B.9/32, the prototype first flew in June 1936. Deliveries to RAF bomber squadrons began in 1939. Commonly named Wimpy by its crews (after J. Wellington Wimpy, Popeye's friend), the Wellington remained in service as a land bomber for five and a half years, its first operation being an attack on German warships at Wilhelmshaven on the day after war declared, its last raid on Previsio in Northern Italy in April 1945. During war period it operated from bases in Great Britain, India, the Middle East, North Africa and Italy. Although fairly modern by its looks, technologically the Wellington was very much a product of an era past. By 1942 slow speed, limited ceiling, and a small bomb load made the Wellington obsolete in the European theatre of operations. It flew its last offensive sorties against Hannover on October 8, 1943. Although once it had been supplanted from the European theatre Lancasters and Halifaxes it flew until the war's end in other roles and in other theatres. In particular, it had been used by RAF. as trainer until 1953. A total of 11,461 Wellington's of all variants were built - the most of any British bomber design. 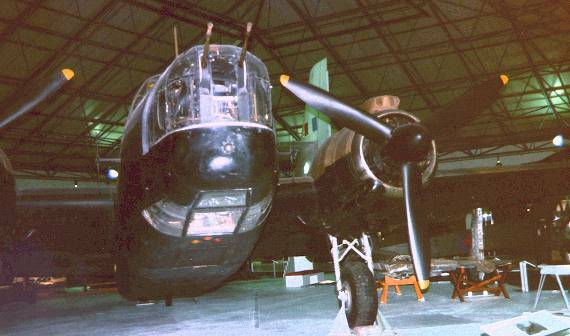 The Wellington ser.no MF628 presented below is on display at RAF Museum in Hendon, UK. It is one of only two complete Wellingtons still in existence. MF628 was the last production Wimpy, and left the factory as T Mk. X with solid nose and tail instead of machine gun turrets. As it is restored today, the aircraft represents a Mk. X bomber configuration. Photographing a huge black-colored object in a very dark hall is what I call difficult. This and the following photographs represent the best I could achieve with a powerful flesh and automatic exposure of my camera. This view of the nose gives a good general feeling of the fabric-covered surface of the fuselage. The canopy is equipped with a sliding side window for the pilot. 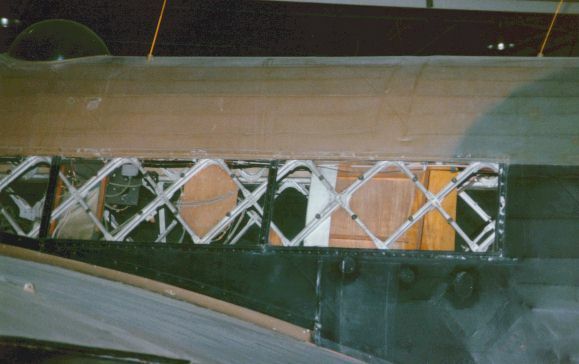 One significant design feature which the Wellington became famous for was Barnes Wallis' geodetic basket weave fuselage construction. Combined with a fabric covering, the manner of construction made it extremely strong while light. It made the Wimpy unusually tough, and often survived battle damage which would have destroyed other aircraft. 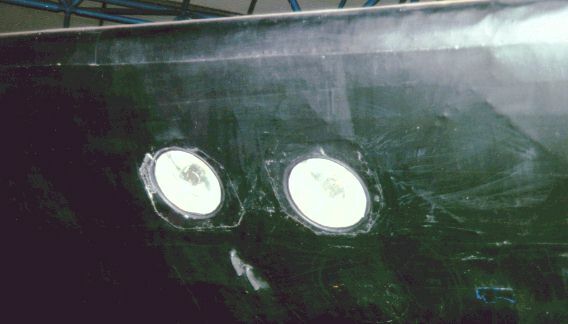 Close-up view of the nose shows bombardier's window below and behind the front defensive turret. 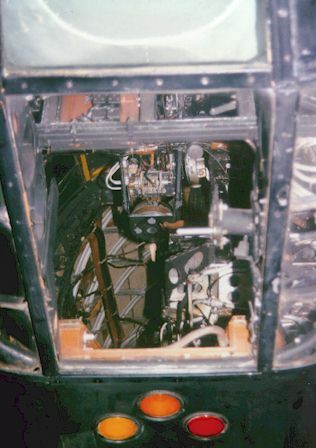 A view through a flat-panel bomb aimer's window up into the fuselage gives some idea of the aircraft's internal structure. Note that the basket weave is completely exposed on the inside. The sophisticated object nearest to the camera is the bomb sight. Behind it is the pilot's station, viewed here from a highly unusual angle. 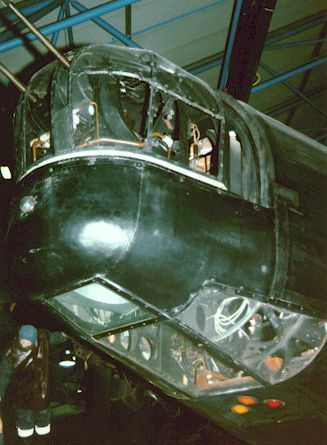 Typically for an RAF bomber of the period, the pilot sat on the port side with walkway occupying starboard side of the nose. Another detail worth noting are the three intensely-colored navigation lights behind the window. 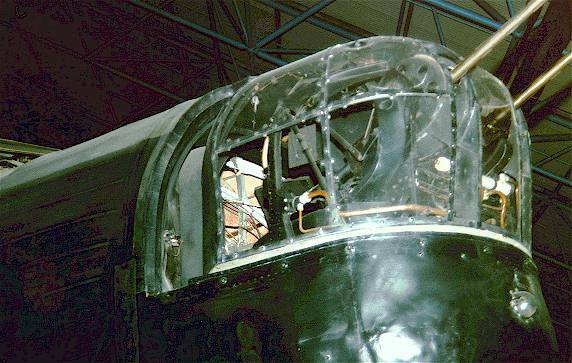 Nose turret of the Wimpy was a Frazer-Nash type later also used on the Lancaster. 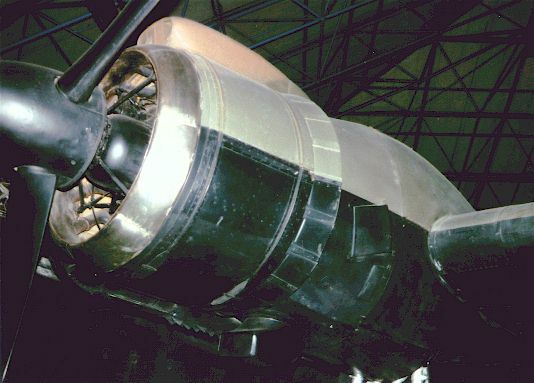 The Mk X was the last of the bomber variants and the most numerous. It was generally similar to the Mk III, but had the more powerful Hercules VI or XVI engine with downdraught carburettor. It can be distinguished externally from earlier marks by the carburettor intake placed on top of the engine cowling. 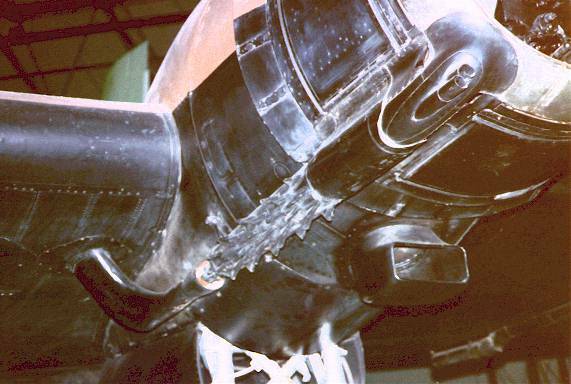 Many British aircraft powered with Hercules engines carried the flame-damping exhaust system shown here, sometimes also referred to as "christmas tree". 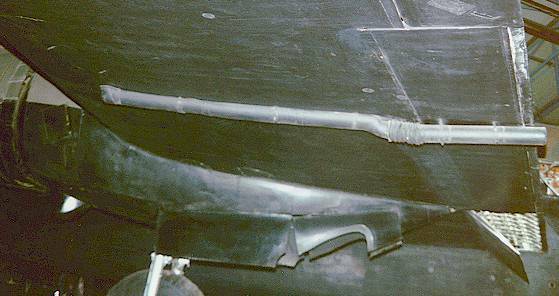 The same type of exhaust was used on night-operation Beaufighters, Halifaxes and radial-engined Lancasters. 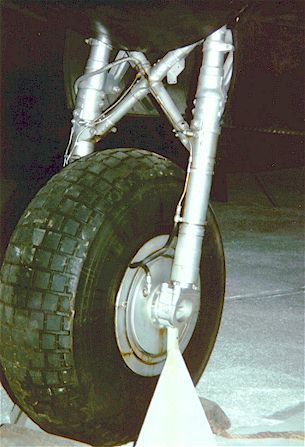 Note the separate extra air inlet pipe behind the exhaust - believed to be an intake of the heating system. 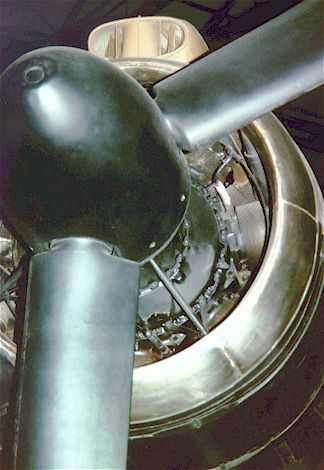 A detailed view of the sleeve-valve Hercules engine and wooden paddle-blade Rotol propeller. The exhaust collector ring of many British radial-powered aircraft was made of brass and left unpainted, like here. Wellington Mk. III introduced four gun rear turret of Fraser-Nash FN.20A type. The museum example lacks guns. Note also mass balances at the elevator's trailing edge. 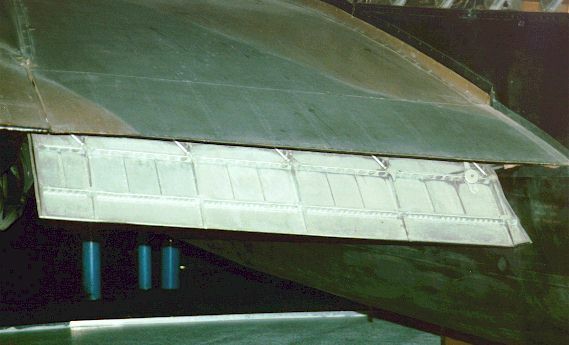 Emergency fuel dump pipe on the lower wing surface. 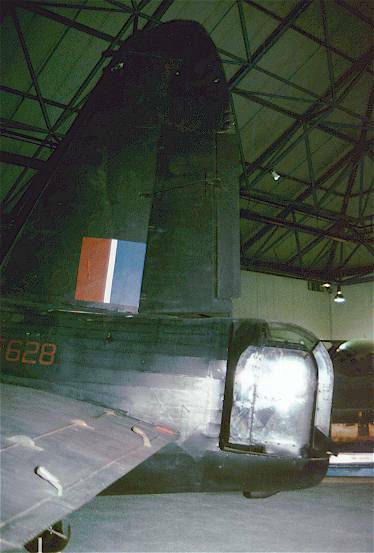 This totally uninspiring photo shows the twin landing lights at the leading edge of the port wing.